She is the most winning woman and the second most winning person in Jeopardy! history...and Madeira couldn't be prouder. 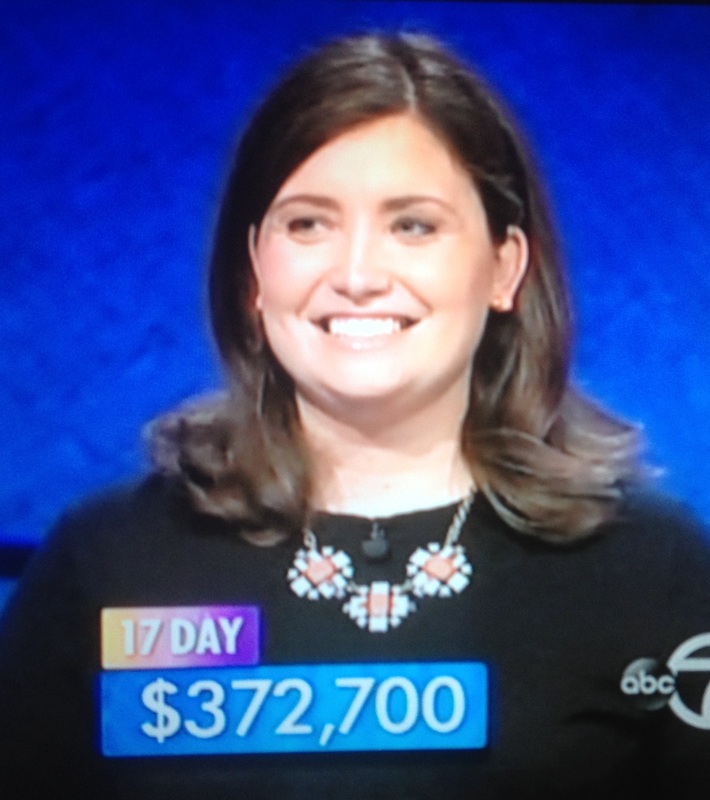 Julia Collins' '01 winning streak came to an end on Tuesday night, June 2, during her 21st appearance on the show, where she garnered a total of $428,100 over her three week reign as a champion. The clue that eluded her: The New England writer who in 1999 became the last person to win an Oscar for adapting his own novel as a screenplay. The correct answer is John Irving. Julia's answer was unfortunately incorrect. What will she do with her winnings? She plans to take a long and well deserved vacation in France...and hopefully make a visit back to Madeira! The media buzz around her successful run has been incredibly positive and Julia emulates the true Madeira spirit of "finishing in style". The Madeira community is enormously proud of her and honored to call Julia a Madeira alumna.